Cockpit Arts 30th Anniversary Drinks Reception from Cockpit Arts on Vimeo. 'Fourtitude' has been chosen for this year's group show Lustre at the OBS Gallery, Tonbridge, East Sussex. A showcase for highly original print, photography, painting, sculpture, ceramics and textiles by artists and designers based in the South East. This is a rare opportunity for visitors to see behind the scenes, meet 170 talented makers over two sites and buy beautifully crafted work direct from independent designers. For more information about Cockpit Arts events and activities visit www.cockpitarts.com. Image: Earrings by Beth Gilmour. Photography by Jamie Trounce. Copyright © 2015 Cockpit Arts, All rights reserved. You are receiving this email because you subscribed to our mailing list online or opted to join at one of our Open Studios or other events. Please click here to find out how to become a Cockpit Arts Supporter. Cockpit Arts is the UK’s only creative business incubator for designer-makers. Cockpit Arts Limited is a registered charity (no. 1029643) and a company limited by guarantee (no. 2801969) registered in England and Wales. Registered office: Cockpit Yard, Northington Street, London, WC1N 2NP. 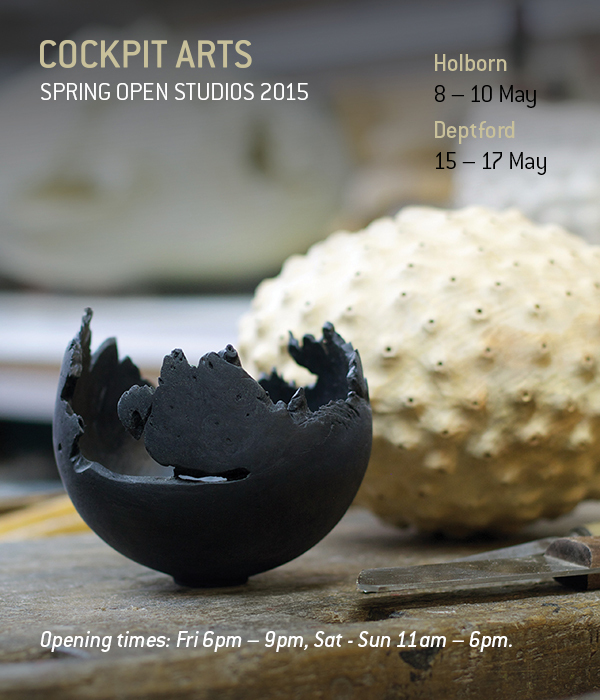 As a key part of the inaugural London Craft Week, Cockpit Arts will be opening its doors for the Spring Open Studios 2015. 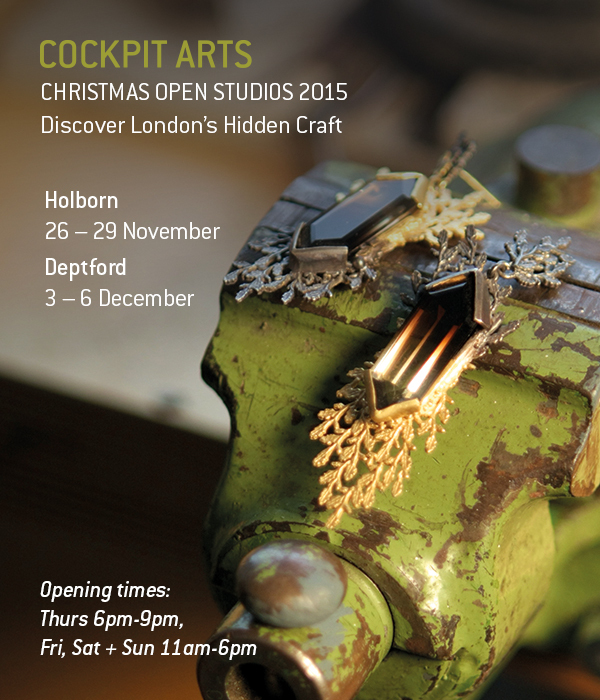 This is a rare opportunity for visitors to see behind the scenes, meet 170 talented makers over two sites and buy beautifully crafted work direct from independent designers. Image: Wooden vessels by Eleanor Lakelin. Photography by Jamie Trounce.